Driftwoody whitewashed finish is wonderfully easy on the eyes. 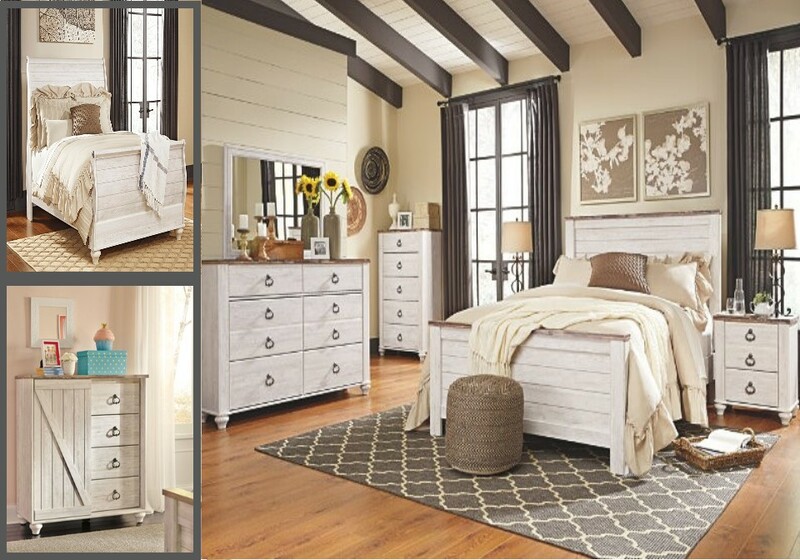 Plank-style detailing incorporates a classically rustic touch, so homey and comforting. Two-tone finish in white wash replicated worn through paint with authentic touch and a replicated wood grained block pattern with authentic touch. 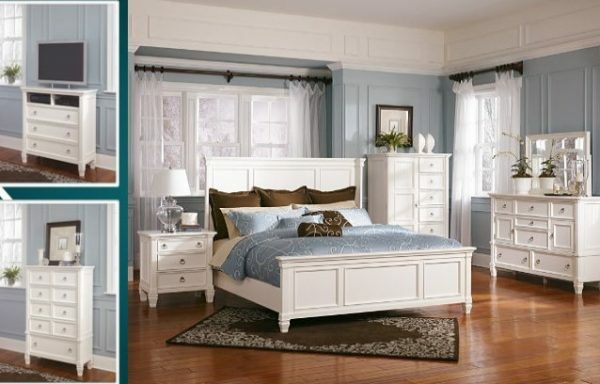 Large scaled shapely bedroom collection features bun feet. Ring pull hardware in an antique brass color, accented with white paint hang up. Slim USB charger located on the back of the night stand tops.